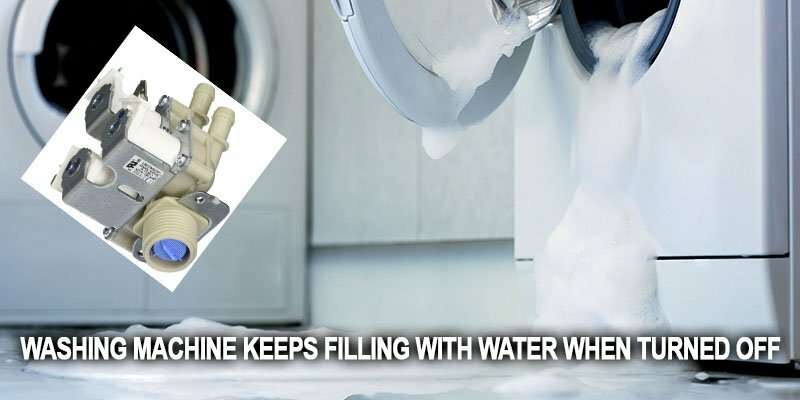 If your washing machine is drawing water even when it is off, then this is a clear sign of a malfunction. Such unusual malfunction occurs quite rarely and it may frighten the owners. The washing machine inlet valve of is located where expected – right at the entrance, behind the inlet tube. Executing all the commands from the control board, it opens or closes the gates, starting or stopping the supply of water to the machine drum. If you listen closely, you will hear a slight click when your washer starts to fill water – this is the sound produced by the solenoid. In open position – water will flow continuously, filling the drum to the very edges and causing the overflow. The valve utilizes a simple principle: it opens the gates once it gets electricity – a simple electromagnet opens the valve. As soon as the voltage disappears, the valve clicks back into place. That is, if washing machine is completely disconnected from the power supply, the water intake to the drum is impossible. 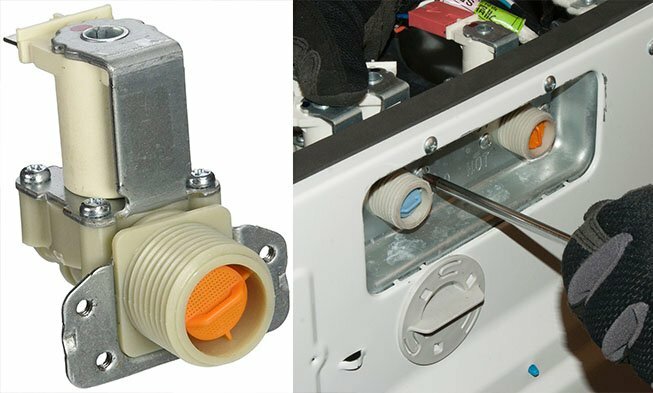 If your washing machine is off but it still fills water, you need to remove and replace broken solenoid valve. Before you do that, you need to shut the water, pull out the plug from the outlet and turn the washing machine face to you. After that, unscrew the inlet hose and remove the top cover to gain access to the valve itself. Having found the valve, you need to unscrew it from the housing, disconnect the electrical wires and disconnect the hoses. Throw this broken valve to the garbage and install the new one.